The St John rarebit, complete with Worcestershire sauce conduits. Photo: St John. Very few things can compete with cheese and beer melted on toast until bubbling and oozy, so we’ve poked around and come up with a list of the best places to appreciate it. Any restaurant that sells 35 rarebits a day — that's 12,250 a year — must know what it's doing. Welsh rarebit is one of the few dishes that has never left the twice daily changing menu at St John in the twenty-one years that it has been open. The Maltby Street branch bakes its own bread for the dish and sources the cheese from Neal’s Yard Dairy. St John founder, Fergus Henderson even has a trick when it comes to Worcestershire sauce application: “When it comes to the eating you should make a gentle criss-cross pattern on your grilled cheese to act as irrigation for your Worcestershire sauce.” Wise words indeed. St John, see website for locations. 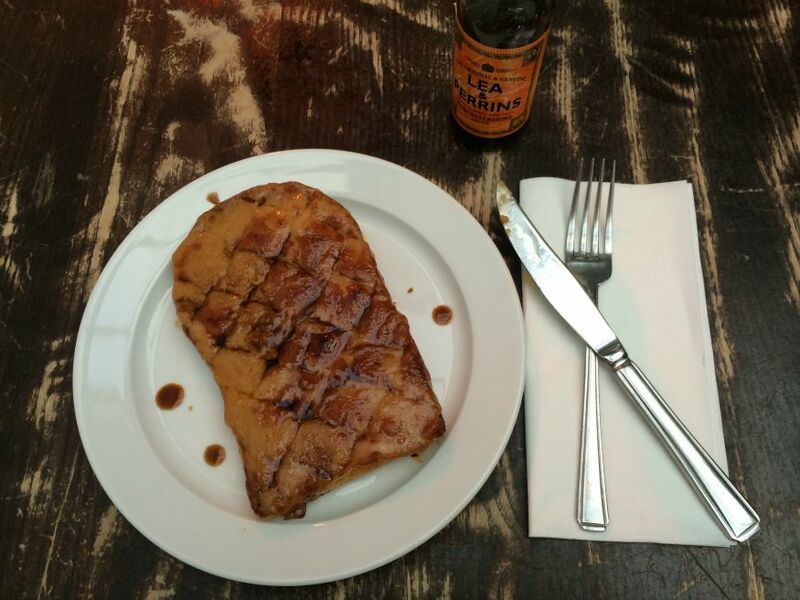 Both Sheekey outlets serve a seriously good rarebit. Combining cheddar, egg yolk, Worcestershire sauce, English mustard, Guinness and double cream, this 'bit is famous about town and the recipe even features in their cookbook. The best part? They’re open until midnight every day apart from Sundays. J Sheekey, see website for locations. This east London eatery aims to make tasting menus a little more accessible, which is all well and good but it’s the rarebit we’re most interested in. Along with the glorious cheese and beer combination they finish with some chorizo oil and grated, frozen goats cheese. At £6.80 it's pretty good value too. Head chef, James Cochran advises to pair it with a Bloody Mary for the perfect hangover cure, which sounds like a very reasonable suggestion. The Welsh rarebit burger special at Byron. Photo: Byron. Giving Welsh rarebit a bit of a meaty makeover, burger slingers Byron currently have a Welsh rarebit inspired special it calls the Run Rarebit Run (available 1st Sep-9th Nov). Good name. 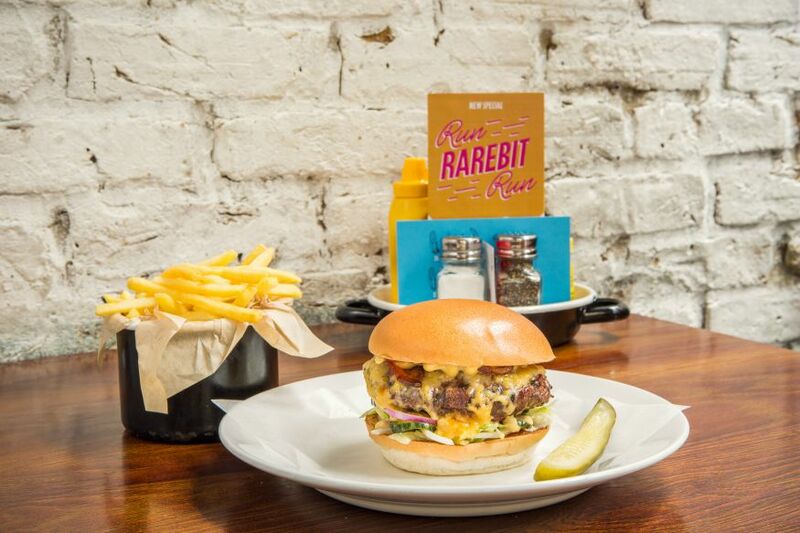 They’ve combined cheddar with their own pale ale, Worcestershire sauce, dry cured bacon and English mustard mayonnaise to create a rarebit topped burger. It costs £10.95, but you may well want to add another £4.75 for the Bugs Brownie Shake made from both caramel and vanilla ice cream with homemade chocolate brownie. Bryon, see website for locations. Chamberlain's is a seafood restaurant, opened in 2001 by a family who already ran a successful seafood wholesale business. Look past the lobster and scan over the scallops though and you’ll find a classic Welsh rarebit with a touch of Guinness mustard. A great choice for those with a head for history, Chamberlain’s is based in one of London’s oldest markets, which is also home to the Lamb Tavern — a good spot to toast Welsh Rarebit Day afterwards. Chamberlains, 23-25 Leadenhall Market, London EC3V 1LR. The Tommyfield. Photo: The Tommyfield. 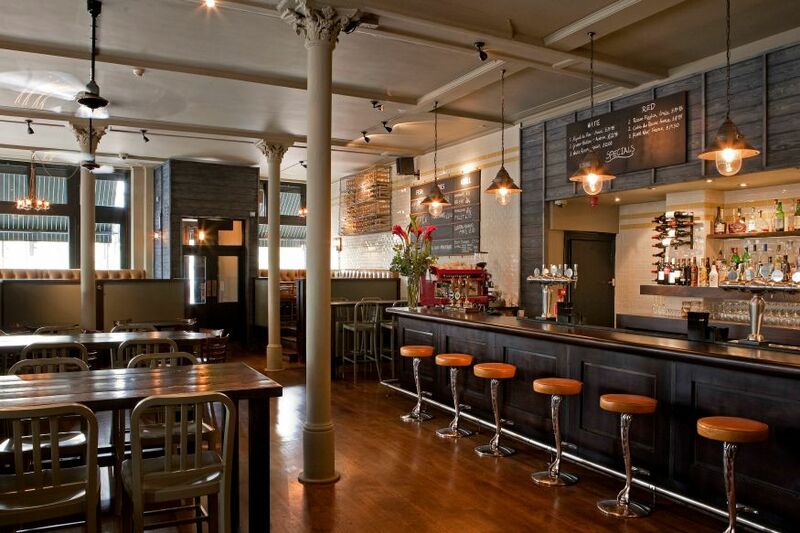 For a good value option, this south of the river spot serves a classic Welsh rarebit for just £4.50. Even better news is the reasonable beer prices and rooms upstairs, meaning you can eat as much Welsh rarebit as you like without the worry of having to move too much afterwards. Know a great Welsh 'bit we've missed? Add your suggestions to the comments below.